The Eagle Biosciences Mouse Rat 25-OH Vitamin D ELISA Assay Kit is intended for use in the quantitative determination of total 25-OH Vitamin D (Vitamin D2 and Vitamin D3) in serum and EDTA plasma. The Mouse Rat 25-OH Vitamin D ELISA Assay Kit is for Research Use Only. NOTE:Human, bovine/calf, goat, horse, chicken, mouse, rat, rabbit and equine 25-OH Vitamin D can be detected using this Multi-species 25-OH Vitamin D ELISA Assay Kit. The group of compounds referred to as Vitamin D, are actually fat soluble steroidal prehormones. The main forms which occur in the body are Vitamin D2 (ergocalciferol) and Vitamin D3 (cholecalciferol). The active form of these molecules is Dihydroxyvitamin D3 (1, 25(OH)2 D3). Vitamin D3 is formed in the skin by photolysis of 7-dehydrocholesterol by ultraviolet radiation from sunlight. It is transported in blood circulation bound to proteins to the liver where it is hydroxylated. Further hydroxylation occurs in the kidneys to produce the most active form. Vitamin D levels are highest in newborns and decrease exponentially throughout life. Sufficient circulating levels of vitamin D are necessary for healthy bone maintenance and cell metabolism. Recent studies have shown that it may also lower incidents of certain cancers. Insufficient levels of Vitamin D can result in osteoporosis and bone fracture in the elderly, secondary hyperparathyroidism, abnormal cell metabolism and even increased incidents of cancer. Severe deficiency may lead to rickets in children and osteomalacia in adults. Disease associated with Vitamin D deficiency may also include: impaired immunity, increased autoimmunity, myopathy, diabetes mellitus, and an increased risk of colon, breast, and prostate cancers. Abnormally high levels (> 200 ng/ml) of Vitamin D leads to Vitamin D toxicity and may cause hypercalcaemia. 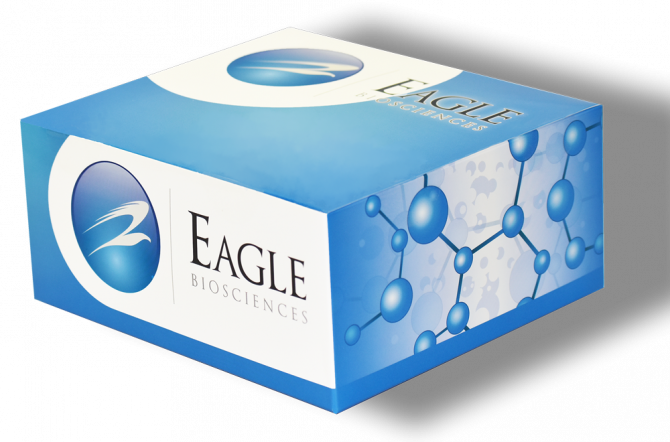 This Mouse Rat 25-OH Vitamin D ELISA Assay Kit is designed developed and produced for the quantitative measurement of total 25-OH Vitamin D2/3 in serum/plasma utilizing the competitive immunoassay technique. This assay utilizes a monoclonal antibody that binds to both 25-OH Vitamin D2 and 25-OH Vitamin D3 equally. Assay calibrators, controls and test samples are added directly to wells of a microtiter plate that is coated with specific anti-25-OH Vitamin D2, D3 antibody. A buffer designed to release Vitamin D from binding proteins is then added to the wells. After the first incubation period, unbound material is washed away and biotinylated Vitamin D analogue is added to the wells and binds to remaining antibody sites. After the second incubation period, unbound biotin-D is washed away and horseradish peroxidase (HRP) conjugated streptavidin is added to each well. During the third incubation step, an immune complex of well coated “vitamin D antibody – vitamin D, biotin D and HRP conjugated streptavidin” is formed. The unbound matrix is removed in the subsequent washing steps. For the detection of this immunocomplex, the well is then incubated with a substrate solution in a timed reaction, which is terminated with an acidic reagent (ELISA stop solution). The absorbance is then measured in a spectrophotometric microplate reader. The enzymatic activity of the immunocomplex bound to the wall of each microtiter well is inversely proportional to the amount of total 25-OH Vitamin D2/3 in the test sample. A calibration curve is generated by plotting the absorbance versus the respective Vitamin D concentration for each calibrator on a 4-parameter or point to point curve fitting. The concentration of total 25-OH Vitamin D2/3 in test samples is determined directly from this calibration curve. Add 100 µl Vitamin D Assay Buffer to each well. Mix contents of wells gently for 5 – 10 seconds. Seal the plate securely, cover with aluminum foil, and incubate at 37ºC for 35 minutes. Add 100 µl of Biotinylated Vitamin D Analogue to each well. Seal the plate securely, cover with aluminum foil, and incubate at 37ºC for 45 minutes. Add 100 µL of Streptavidin-HRP into each of the wells. Seal the plate securely, cover with aluminum foil, and incubate at 37ºC for 20 minutes. Add 100 µl TMB reagent to each of the wells. Cover plate with aluminum foil, and incubate at room temperature for 20 minutes. Read the absorbance at 450 nm. 4-parameter curve is recommended. Nelson, CD;Powell, JL;Price, DM;Hersom, MJ; Yelich,JV;Drewnoski, ME;Bird, SL;Bridges, GA;, (2016). Assessment of serum 25-hydroxyvitamin D concentrations of beef cows and calves across seasons and geographical locations. Journal of Animal Science.